With Gilmore Girls briefly returning this year (we&apos;ll get four new episodes on Netflix starting November 25th), the nation is transforming into Stars Hollow. Phase one: Luke&apos;s Diner is coming to a coffee shop near you. It&apos;s unclear exactly how far they&apos;re going with this promotional stunt, but you will get free coffee from 7 a.m. to noon, and they promise "other special touches from the show and surprises from Netflix," too. On the show, Luke&apos;s is owned by Luke Danes, whose small town charm... no, WAKE UP PEOPLE, Luke is the worst. THE WORST. 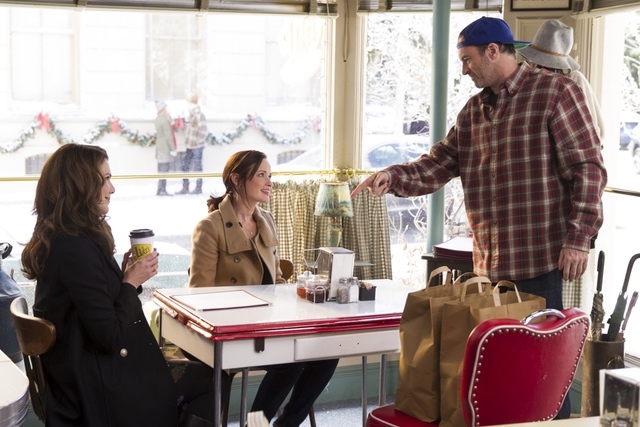 But his diner did serve as a nice stage to showcase Stars Hollow&apos;s slice of life.